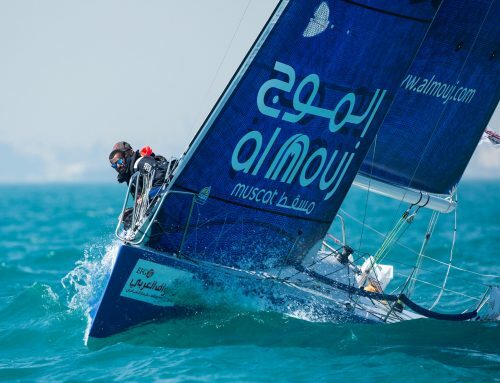 Team Al Mouj Muscat’s hopes of winning EFG Sailing Arabia – The Tour have been dashed after they were found to have sailed into a restricted area on their way to winning Leg 5. The Omani outfit looked to have finally got the better of arch rivals EFG Bank Monaco (MON), crossing the finish line in Dubai just one second ahead to notch up their first leg win on Monday night. 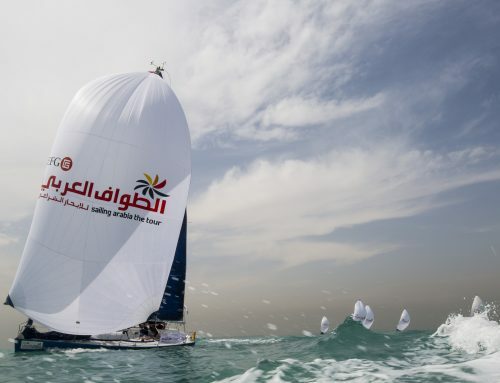 But their celebrations were short-lived after EFG Bank Monaco successfully protested them for sailing into a restricted zone during the 205-nautical mile leg from Doha, the last of five legs that make up the 763nm race around the Arabian Gulf. An international jury last night disqualified Team Al Mouj Muscat from the leg, awarding them a maximum 18 points. DB Schenker (GER), the all-female team led by Dutch former Olympian Annemieke Bes, was also disqualified for the same reason. 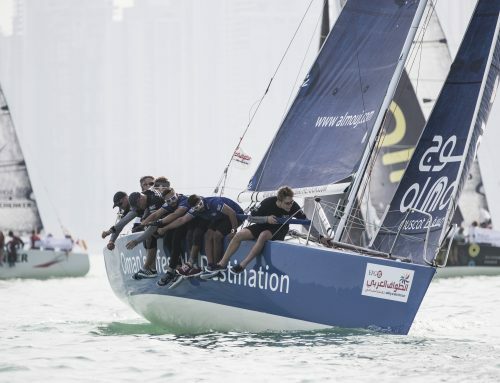 The ruling had a major impact on the overall rankings – prior to it Team Al Mouj Muscat were just two points adrift of EFG Bank Monaco going into today’s Dubai in-port race series, the final battle of EFG Sailing Arabia – The Tour 2017. But following their disqualification Team Al Mouj Muscat now drop to third overall, with Oman’s Team Renaissance moving up into second place. Reigning champions EFG Bank Monaco now have an unassailable 15-point lead at the top of the table, guaranteeing them a fourth consecutive title. “The forbidden zone was defined by three waypoints and one mark, and we made a mistake on the waypoints, we didn’t have it programmed into our navigation software correctly,” explained Team Al Mouj Muscat skipper Christian Ponthieu. 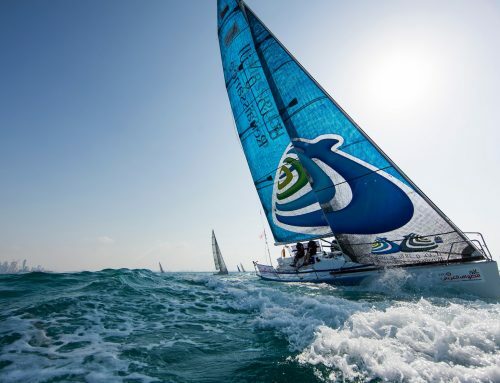 The Dubai in-port series, taking place today, will see the eight international teams go head to head around a short inshore racecourse in the waters off The Palm Jumeirah. Following racing a closing ceremony will take place at Oceana Beach Club. 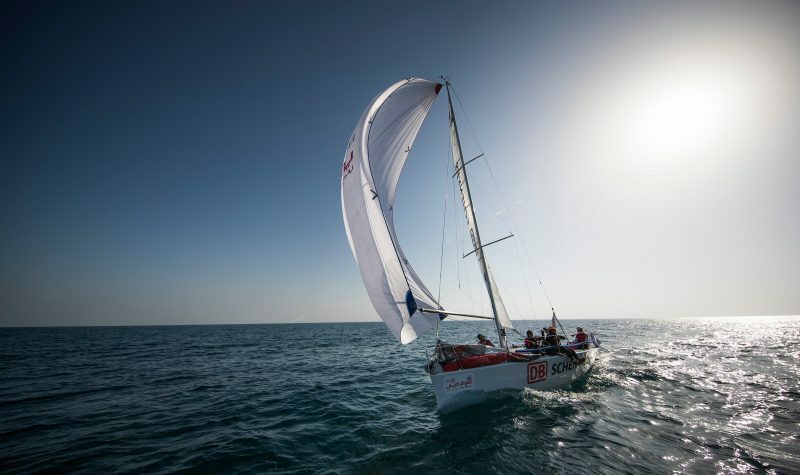 The winners of EFG Sailing Arabia – The Tour will be crowned in a prize giving attended by guests of honour Sheikh Khalid bin Zayed Al Nahyan, President of the UAE Sailing and Rowing Federation, and His Excellency Dr. Khalid bin Said Al Jaradi, Oman’s Ambassador to the UAE.